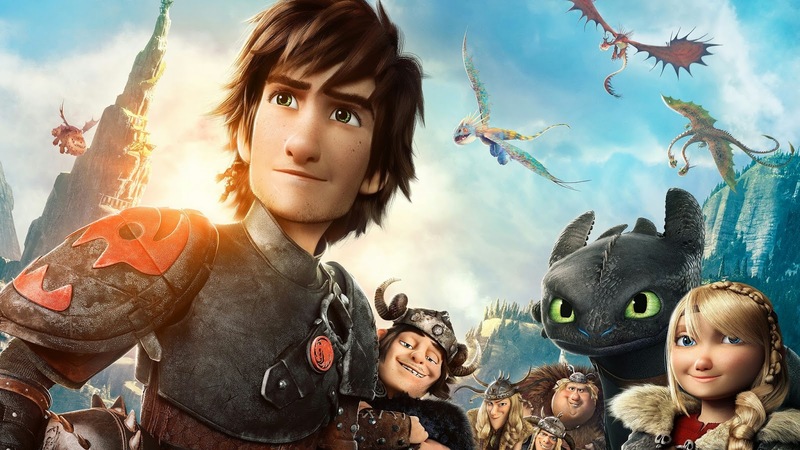 It’s rare a film comes along as universally adored as the original How to Train Your Dragon, and when a movie inspires such obviously sincere adoration from so many people, it can feel mighty awkward – and a tad bit lonely – to find oneself on the outside. I didn’t dislike the film, but neither did it command much of my attention. As I have tried to explain to bewildered friends and colleagues over the last four years, the characters fell flat for me, the story felt overly formulaic, and the animation, while admittedly gorgeous, didn’t do much to elevate what was, for me, a dry and unemotional experience (even while typing these words, I know I unwillingly sound like a grouch). Sometimes, certain movies just don’t hit us, no matter how hard they might hit other people, and as heartless as I may come across saying it, that’s where I was with the original film. Not so with How to Train Your Dragon 2. This is a big, beautiful, sweeping, powerful piece of work, one of the great modern triumphs of American animation and a stirring example of what all Hollywood sequels, animated or live-action, should aspire to be. I have a few qualms with the movie here and there, but they feel very minor in light of the film’s myriad strengths, and this time around, I found myself right beside everyone else in singing the movie’s praises. This time, the Dragon franchise hit me, and I couldn’t be happier. First and foremost, Dragon 2 is a tremendous exercise in cinematic world building, one of the best I have ever seen from a Hollywood blockbuster. Director Dean DeBlois does such a phenomenal job fleshing out the particulars of this world and its characters through atmosphere and aesthetics that I suspect even someone who missed the first movie could jump right in and get caught up to speed pretty quick. 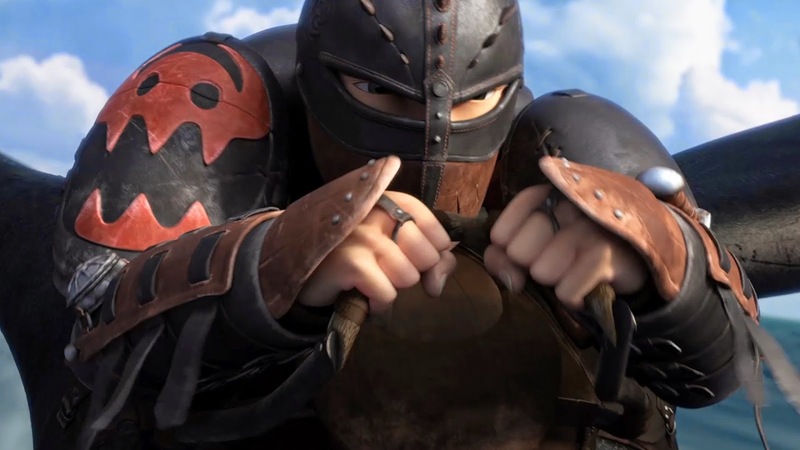 There is very little formal exposition in the film, and yet, just by watching the Vikings of Berk fly their dragons for sport, or following protagonist Hiccup as he shares an adventure with his dragon, Toothless, the relevant details come through loud and clear, a product of how fully realized the film’s environment feels, and how every character is so completely influenced and motivated by their surroundings. Five years have passed since the first film, and some major developments are well underway when this movie picks up – Hiccup’s penchant for invention has progressed rapidly, he and Toothless have begun mapping the world, and the friction that previously existed between Vikings and Dragons has been replaced by joy and camaraderie – but DeBlois never needs to spell even one of them out concretely. We see the results of change, as part of the action and visuals, and it’s thrilling, immediately and consistently. So much of why the world feels as rich as it does is due to the character designs, for humans and dragons alike, and I honestly cannot think of another computer-animated film that is this thoughtful and evocative in how it uses a character’s visual design to make their motivations clear and their personalities pop. Everything you need to know about Hiccup is right there in his attire, in the way he weaves invention and machinery into every part of his clothing, and that same level of insight and detail goes into every other human character, no matter how large or small a role they play. One of the big new characters here is Hiccup’s mother, thought to be dead since Hiccup was a baby, and part of why the character lands so forcefully so fast is that her design and movement convey volumes about who she is and what she wants. 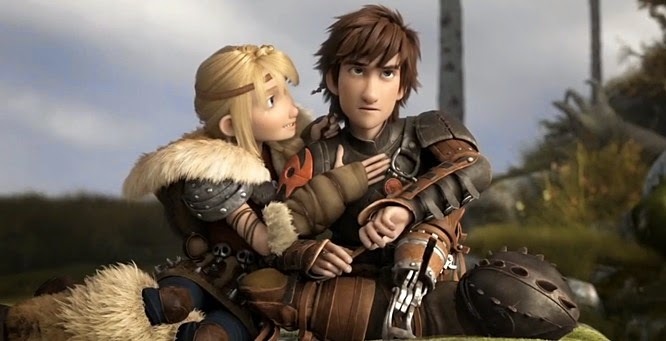 Few human-oriented CGI films, in fact, demonstrate such keen attention to and understanding of human movement; there’s an early exchange in the film between Hiccup and his girlfriend, Astrid, that is easily the most relaxed and naturalistic conversation between young adults I’ve ever seen in a CGI film, and while the writing and vocal performances contribute greatly to the effect, it’s the loose, casual, uncalculated way the characters move and interact that makes it feel so honest. If anything, DeBlois and company do an even better job with the dragons themselves. There are dozens upon dozens of dragon designs in the film, and every one of them is stunningly creative and instantly appealing, if not downright awe-inspiring. There is so much character and personality imbued into these creatures, whether they appear in one or one-hundred shots; in four seasons, Game of Thrones hasn’t produced one dragon that has an ounce of the individuality or presence even a background dragon has here, and I doubt there is a single dragon in the history of film or television that works as completely as a character as Toothless does. He is just as much a central protagonist as Hiccup in this film, with his own distinct arc and moments of pay-off, and by the end, without speaking one word, he has easily developed into one of the most vibrant, lovable, and dynamic characters not only in this franchise, but in the modern blockbuster landscape. That’s not to say the human characters lack weight, of course, because the hardest-hitting moments in the film involve very real, intensely palpable human emotions, and at its best, I don’t think DreamWorks has ever reached for anything this dark, deep, or complex. This is a sequel that starts shaking up the status quo from the very beginning, and isn’t at all afraid to tear down the familiar and challenge both audience and characters in equal measure. Everyone in the film has something to learn and wisdom to offer, and that push-and-pull between what makes a person great and those ways in which they remain ignorant or incomplete is the core dramatic dynamic, all wrapped up in Hiccup’s accelerated march towards adulthood. There’s a major turning point at the end of the second act that genuinely shocked me in its brutal, unforgiving nature, and the best material in the entire film comes in the following scenes, as Hiccup grapples with the reality that has just been thrust upon him. It is a fiercely insightful, hauntingly beautiful meditation on the things we discover about ourselves and our responsibilities through loss, and I found myself tearing up without even realizing it, something no DreamWorks film has previously achieved. I think there are some minor narrative missteps here and there – the second act is almost exclusively comprised of terrific individual scenes, but there is a distracting lack of urgency to the proceedings – and I still feel this series struggles with tone, albeit much less than before. Most of How to Train Your Dragon 2 aspires to high fantasy, and succeeds wildly at it, and that makes the dumb, sophomoric jokes that lightly pepper the film’s first half extremely distracting. As great as the core characters are, Hiccup’s friends – voiced by comedy performers like Jonah Hill, Kristen Wiig, and Christopher Mintz-Plasse, all too talented for what they’ve been tasked to do here – are underdeveloped and unamusing, serving little plot or thematic function and existing only to deliver bad, atonal gags that feel far too precious and anachronistic for this material. All the dialogue could stand to sound a little more formal to my ears, to better match the setting and time period, but Hiccup’s friends talk like 2014 American teenagers, and hearing modern slang escape these characters’ mouths never failed to pull me out of the movie. Yet even in those rare moments of lapsed creative judgment, How to Train Your Dragon never fails to astonish, because this is as visually rapturous and evocative as filmmaking gets, animated or otherwise. CGI animation generally disinterests me, and yet I found myself in constant awe of the visual feats at work here, by the imagination and detail of the environments and especially by the scale of the film’s biggest set pieces. I would wager there are exponentially more moving components to every frame of this film than has ever been attempted in American animation, the second-act battle sequence in particular standing tall among the most ambitious combat scenes ever committed to film. It is legitimately breathtaking, as are the sequences of flight and aerial adventure, which would even make Japanese animator Hayao Miyazaki sit up and take notice. Most importantly, though, the film has a real eye for cinematography. Up until recently, I think the argument that computer-generated frames don’t constitute true photography has been largely valid, in part because CGI films tend to lack the visual dynamism of live-action, but Gravity clearly showed that the principles and techniques of cinematography are fundamental to creating a wholly immersive digital environment, even if there is no physical camera, and How to Train Your Dragon 2, as an all-animated film, solidifies this idea even further. Aided by visual consultant Roger Deakins, one of the great working Directors of Photography, the film is fully aware of the frame’s boundaries and possibilities, of how to construct a great shot and imbue it with literal and metaphorical depth, and from start to finish, the film looks as though Deakins or someone equally talented took a camera into this animated universe and shot the action in person. It is a remarkable ‘hybrid’ effect, the absolute best of computer animation captured with a truly great eye for physical photography, and it makes for the best ‘cinematography’ of any Hollywood blockbuster this year, by a fairly wide margin. And when combined with the utterly gorgeous score by John Powell and the wonderful voice work across the board - particularly by Jay Baruchel and Gerard Butler, whose father/son dynamic is flawlessly realized - it makes for an overwhelming technical accomplishment all around. This is what animation should be. This is what sequels can achieve, and what blockbusters can offer at their best. This is what DreamWorks Animation should aspire to moving forward, not the low-brow comic drivel they usually peddle in, and this is an example the industry as a whole should follow. This is franchise filmmaking that makes me want to see more, not because the story is filled with sequel-bait or left unresolved, but because I feel a strong passion and vibrancy in the material, a creative drive that goes far beyond the commercial. That is what this industry should aspire, and it is what viewers of all ages deserve. How to Train Your Dragon 2 is an absolute triumph.